Tip 1: If you know you want to get pregnant soon, or if you’ve just found out, start taking a daily prenatal vitamin. At least 400 micrograms of folic acid every day has been shown to prevent certain brain and spinal cord birth defects. Prenatal vitamins are available over the counter at most drugstores. Take them with food to avoid feeling queasy, or try at night right before bed so you sleep through any discomfort. Also, if you smoke or drink, now is a good time to stop. We’ve all heard the damage these substances can do to your unborn baby, so stopping immediately is your best bet to a healthy pregnancy. Tip 2: Decide when and how you want to share the news. If you’re exposed to any workplace hazards and need to inform certain duties, you’ll want to inform your boss right away. Otherwise, you can wait until you’re comfortable and ready. Keep the conversation professional, and it’s a good time to brush up on your company’s maternity leave policy. For everyone else, it’s all personal preference. Many people wait until the major threat of miscarriage is over, which is after 12 weeks. Some may choose to tell close family and friends and wait to tell the rest. Others decide to celebrate the news as soon as they find out. It all depends on what you feel comfortable with, and it’s worth a discussion with your partner so you’re both on the same page. Tip 3: One of the biggest factors in how much you enjoy your pregnancy is how much you like your doctor. Your ob-gyn will guide you through your pregnancy, labor, and delivery and answer the multitudes of questions you’ll have for him or her along the way. You’ll need to place a lot of trust in your doctor, so if you’re unhappy with the one you currently have or don’t have one at all, ask family, friends, and coworkers for recommendations. Additionally, your options aren’t limited to regular doctors. Feel free to research midwives and family physicians as well. Once you’ve confirmed your pregnancy with an at-home test, you probably won’t see your doctor until you’re 8-12 weeks. Tip 4: Sleep! You’re going to hear it all the time from everyone, “Sleep while you can.” The thing is, it’s true. Thanks to increased progesterone levels, lower blood pressure, and increased blood volume, one of the first signs of pregnancy is feeling like you could sleep anytime and anywhere. Allow yourself to rest when you need to, and it’ll help you get through the early stages of pregnancy. 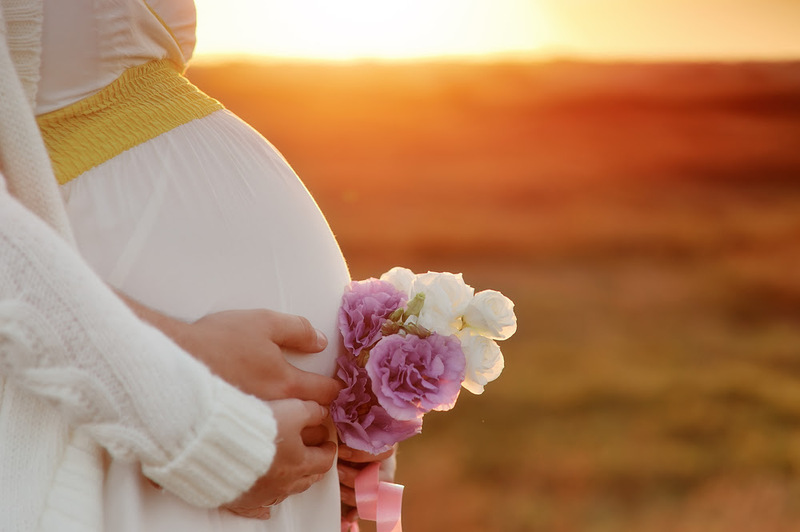 Once you hit your second trimester, you might get a burst of energy, but you’ll start feeling worn down again the closer you get to your due date. The advice to get adequate sleep remains the same for that time. It may start to get harder to get good sleep the bigger you get, so keep reading for tips on sleeping comfortably. Tip 5. Regular exercise throughout your whole pregnancy is an important piece to staying healthy. Besides helping control your weight, you’ll enjoy an elevated mood, better circulation, and improved sleep. Check with your doctor before you start an exercise program, but pilates, yoga, walking, and swimming are typically fine for most pregnant women. Avoid contact sports or anything that risks serious injury or impact to your belly. Shoot for 30 minutes of exercise most days, but rest if your body is telling you you’ve had enough. As an added bonus, there are some exercises that can potentially make labor easier for you. Squatting is a big one since it opens the pelvic outlet up to an extra half of an inch. It gets tiring, though, so be sure to practice squats throughout pregnancy so you’re prepared for labor. Some of us need a little more motivation than others. If that’s you, keep in mind that regular exercise can potentially cut down on the varicose veins, swelling, bloating, and backaches that come with pregnancy. Tip 6. Occasionally indulge during your pregnancy. You won’t have much time after your baby is born, so taking some time for yourself is important. Things like pedicures, quiet time reading a book, and massages are not only great ways to treat yourself, but they also help reduce stress, which is good for you and your baby. Never feel guilty about these occasional indulgences. Your body is doing a lot of work creating a baby, so you deserve it. Tip 7. Set aside some money and time for a bra-shopping trip. Thanks to progesterone and estrogen hormones, you may notice some strain on your current bras. It’s only going to get worse as the rest of you gets bigger, too, so you’ll want to invest in one or two good bras that are a bigger size. If you plan on breastfeeding, it may be worth it to skip the regular bra section and head straight to the nursing section. Once your milk comes in, you’ll still need the bigger size, so you’ll get much more use out of a nursing bra. A more supportive bra can also help relieve upper back pain during pregnancy. Tip 8. You’ll experience a slew of pregnancy symptoms over 40 weeks. On top of morning sickness, heartburn, and other delightful issues, you may be alarmed to find bloody gums after brushing your teeth. Many moms-to-be suffer from gum softening and bleeding during pregnancy due to increased blood flow. There is not a whole lot you can do about it except switch to a softer toothbrush. However, it’s important to keep going to your regular dentist checkups throughout pregnancy. Just let your dentist know you’re pregnant, and they’ll skip the x-rays. Tip 9. Once you enter your second trimester and morning sickness starts to wane, you might start feeling a little more romantic towards your significant other. It all depends on the woman, but you may feel an increased libido due to hormonal changes, and increased blood flow can even make orgasms better. Unless your doctor has advised against it due to health concerns, go ahead and give in to these urges. Some women have a hard time taking their mind off of their belly and the baby residing in it, but we promise that your baby has no idea what’s happening and is perfectly safe in there. Tip 10. Another one of the lovely side-effects of the hormone changes associated with pregnancy is constipation. Progesterone relaxes smooth muscle tissues throughout the body, which includes your digestive tract. Along with constipation, you might experience heartburn, gas, and bloat. Don’t turn to laxatives or mineral oils to relieve constipation, but extra fluids and fiber can help. Avoiding food that typically causes digestive issues can also help like beans, cabbage, and dairy.